Superior CO2 control and fast recovery, without overshoot, following door openings are achieved by the IR sensor and PID microprocessor controller. Gas system design minimizes CO2 consumption. 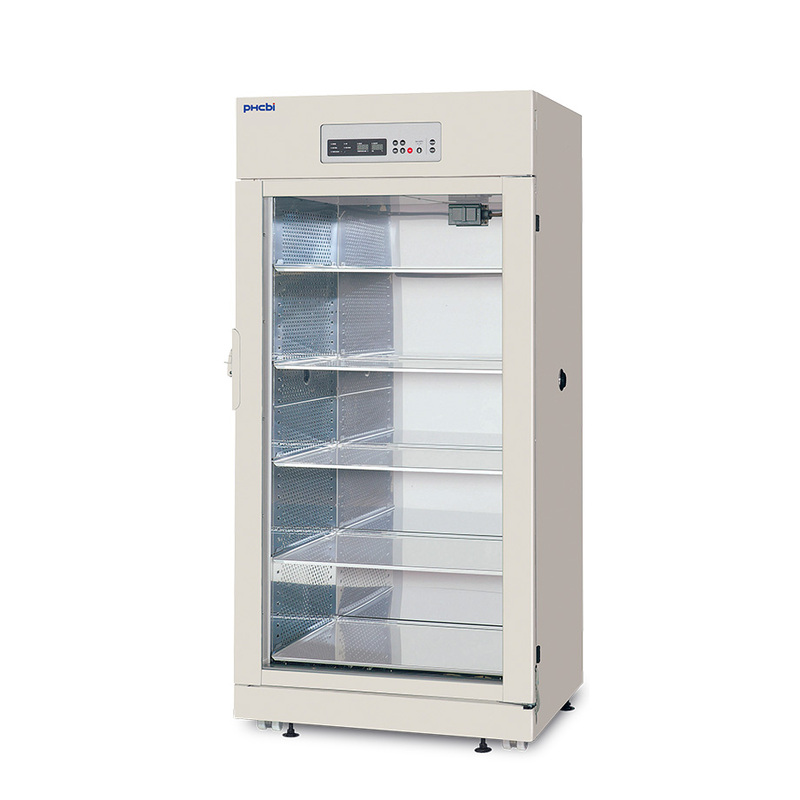 The MCO-80ICL-PA large capacity reach in incubator is designed with standard, passive contamination control throughout the chamber interior. The PHCbi inCu-saFe combines the germicidal properties of elemental copper with the corrosion and discoloration resistance of stainless steel. 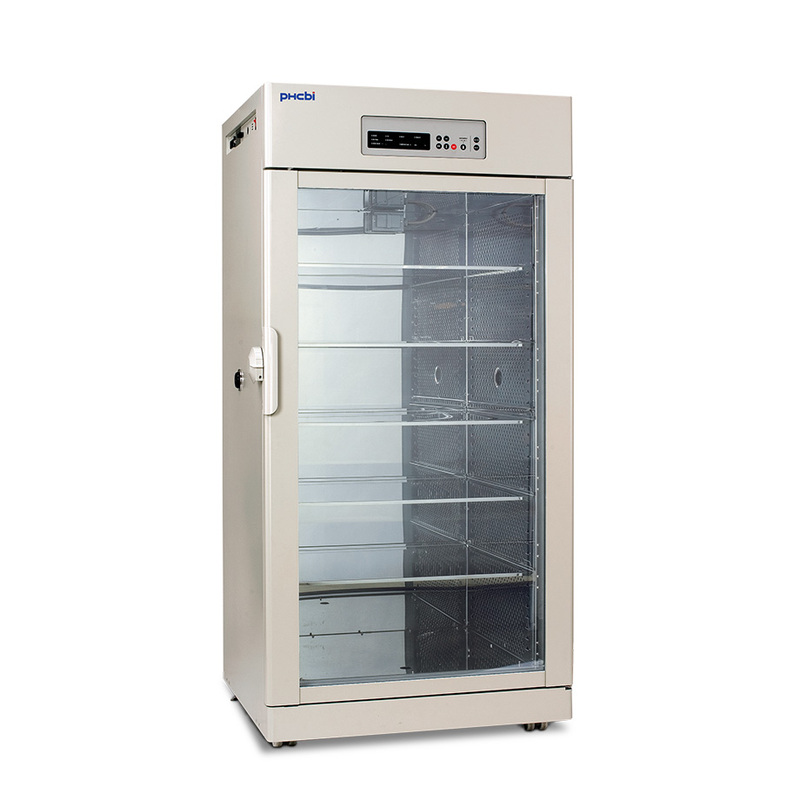 InCu-saFe prevents corrosion and discoloration of the incubator interior. Located safely below the interior base, the optional patented SafeCell UV lamp provides an added layer of contamination control. It eliminates contaminants introduced during door openings as they pass over the humidity reservoir surface. Pathogens introduced during door openings are ultimately removed. The cross shelf, horizontal laminar airflow system promotes optimum temperature uniformity and quick recovery after door openings. Side plenum walls are perforated for positive, even airflow. The horizontal airflow allows for full use of solid shelves providing maximum culturing capacity. This CytoGrow ReachIn incubator functions are controlled and monitored by a fully integrated microprocessor controller with independent LED displays for CO2 and temperature. Two levels of elevated humidity can be selected. All functions are programmable through the control panel. Independent LED displays for CO2 and temperature are standard. The softkey eight button menu enables intuitive programming. LED indicators monitor incubator functions. Remote alarm contacts are provided standard. Humidity mode allows for normal RH of 80% or greater or elevated RH of 90% or greater. Humidity reservoir heaters are strategically located to reduce corrosion and scaling. They are not susceptible to corrosion and scaling from water as competitive systems are. The MCO-80ICL-PA space-saving incubator is ideal for culturing large volumes of biological samples, performing microbiological studies and working with large volume cell apparatus. 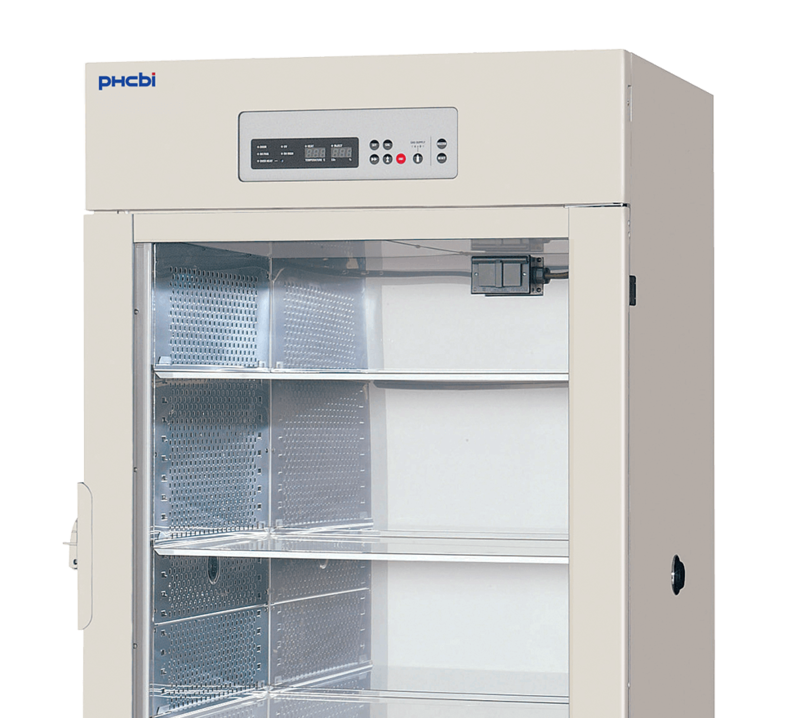 The PHCbi large capacity CytoGrow ReachIn CO2 incubator has the capacity and flexibility to grow with your culturing needs while providing a precise and repeatable temperature, humidity and CO2 environment. The MCO-80ICL-PA space-saving incubator is designed to reduce laboratory footprint while maximizing storage space and is ideal for culturing large volumes of biological samples and performing short-term studies. It includes PHC's exclusive incubator technologies, such as inCu-saFe interiors, ultraviolet decontamination (optional), infrared (IR) CO2 sensor with PID control, and exceptionally low CO2 gas consumption. *Exterior dimensions of cabinet excluding handle, rear stand-off brackets and other external projections. Consult sales rep for doorway entry instructions, less than 37.2".